The Oshawa Peony Festival is will be held on June 9th & 10th from 10:00am to 4:00pm, at the Oshawa Valley Botanical Gardens. As one of Ontario's top 100 festival events and one of Canada's largest contemporary peony collections, this is an event that you will not want to miss! The event is free of charge and will include peony expert speakers, local food vendors and garden-inspired works by many different artists. Tribute Communities will have a tent at the event and we will be giving away a special prize! So be sure to drop by our booth to say hello and enter our giveaway contest! All you have to do is follow @mytributehome on Instagram or like Tribute Communities on Facebook. 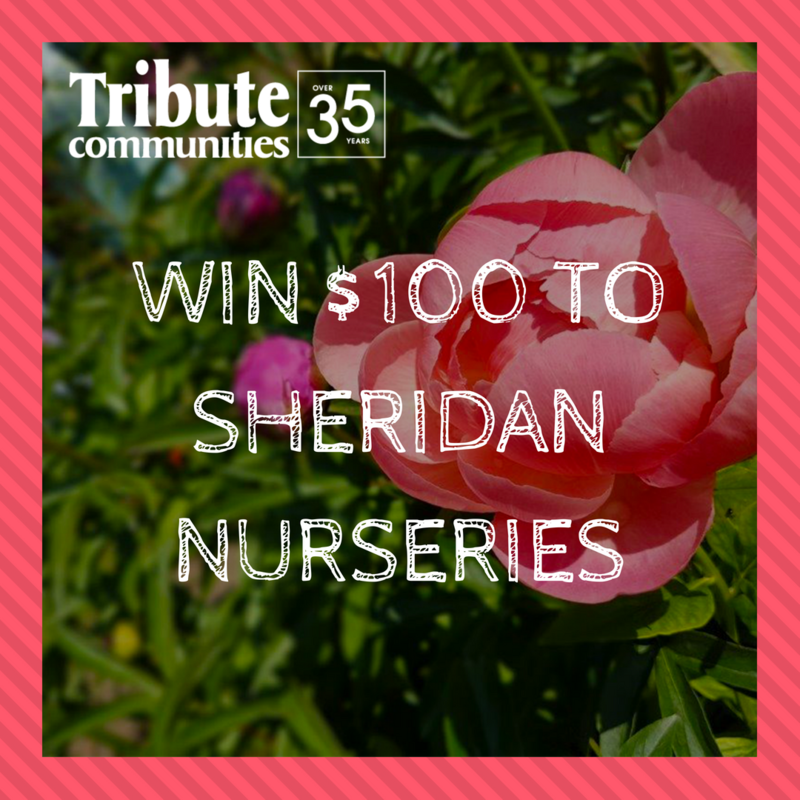 and like and comment on our Peony Festival Giveaway Post! Tell us how you plan on sprucing up your garden for the season! The contest will end on June 11th at 11:59:59 p.m. ET and open to residents of Ontario ages 18 and above, is subject to the contest rules and regulations linked below .